Ted Burke LIKE IT OR NOT: Why stop at three? Faulkner, Hemingway and Fitzgerald are considered in many an old-school clique to be the triumvirate of American Writers, to which I ask, reeling against the noxious habit of limiting “best of” lists to no more than three, why stop with three? The thinking is that writing in this country soured and became an insufferable murk of confessionalism and tone deaf experimentation in the last half of the twentieth century. Think what you may, but the second half of this century produced a lot of major talent who have produced or are producing respective bodies of work that require the passionate reading and argument our already named personal bests have received. Harold Bloom not withstanding, our canon is expanding with new and achingly good writers, and one would think that the male majority so far discussed will have relinquish room on their uppermost tier. On the point, Fitzgerald will make the cut because so few writers, then or to the current time, have managed the breathless lyricism contained in the "The Great Gatsby" or "Tender Is the Night". Some have come close, and I'm thinking of the resonating sentences from Scott Spencer's "Endless Love" or some keenly rendered pages in Updike's "Rabbit" quartet, but Fitzgerald at best gave us small masterpieces that gave an sharp view of the time. 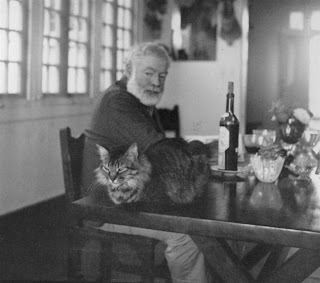 Hemingway, I thinks, merits a permanent place on any greatest list because his style, at best, was lean, and his sentences , constructed the way they are, convey pages of buried turmoil, lost hope, small idealism, bravery to pursue another day , to shoulder one's burden honorably. "In Our Time" and "The Sun Also Rises" accomplish this. At his worse, though, Hemingway was a boozing sentimentalist whose writing lapsed into repetitious self-parody, as we have in "Island in the Stream" or "A Movable Feast". But I am grateful for the good work he did. London, I'm afraid, pales for me personally. He was a lot of fun for me when I was growing up, yearning for adventure in Catholic School. But later, in college, closer and more seasoned readings had him sounding rushed, awkward. The admixture of Marx and Darwin that seasoned his writings seem showed a straining idealism that was not redeemed by a modifying style. I’ve just re-read "John Barleycorn” and the book is ridiculous. It seemed like so much bluster and blarney toward the end , after vividly recalls his disastrous drinking career, that armed with this new self awareness, he would drink responsibly, that he was in fact only temporarily an alcoholic. I doubt the record shows that London cured himself.